bringing this idea to where it is today. toward a very ambitious goal. 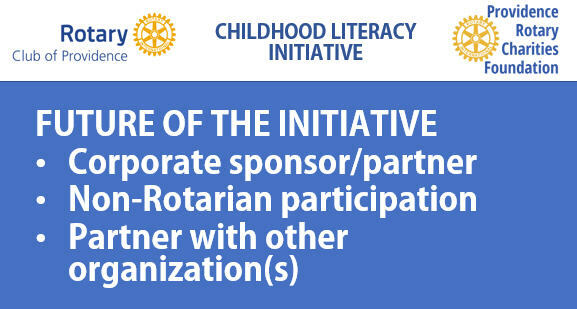 The Childhood Literacy Initiative is a response to a growing feeling among club members and foundation trustees that the small grants we've been giving to multiple agencies for quite some time, while valuable, were not having as much impact as we would like. At the same time, we began a relationship with the Harry Kizirian Elementary School where we learned firsthand about the problems facing inner city education. And the third element was George Babcock's desire to support childhood literacy in memory of his mother, a children's librarian. George has been a driving force in fleshing out the concept and gaining support from all elements of the club's leadership. George Babcock set the tone by saying the initiative isn’t just about Books, Reading or Dictionary projects. It’s bigger. 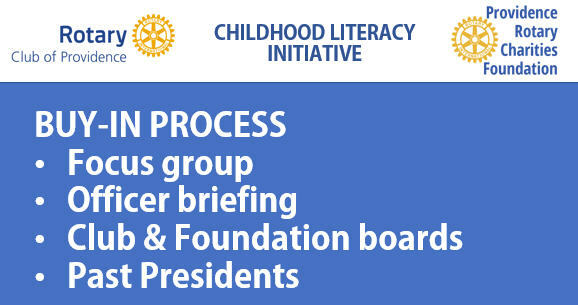 It’s about club direction, student advocacy and literacy promotion. 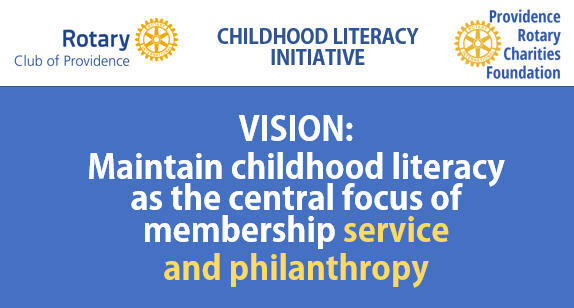 The Vision Statement you see here is the result of the wonderful success we’ve enjoyed and the recalibration of the operation of all our programs to maximize their impact to benefit all concerned. Everyone knows how important literacy is to our success as a community, as a state and as a country, and for the future of our children’s wellbeing it’s of vital importance. And our club has demonstrated that we have the skills, the passion and the resources to make an impact. The most recent results of standardized tests are not encouraging. In fact some are just plain frightening. The vast majority of our children are not proficient in English or Math. How can be improve our economy, reduce the tax burden or entice companies with high paying jobs without highly qualified, literate citizens to fill those jobs. It all starts with early childhood education. And if we look at the Harry Kizirian School I don’t think anyone will be surprised that the numbers are even more challenging. 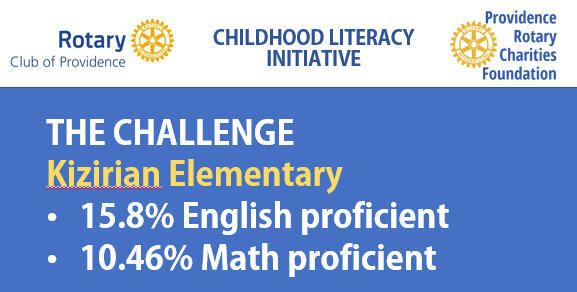 Not quite 16 percent proficient in English, only ten and a half percent proficient in math. We do not expect to solve the problem of childhood literacy. We hope to use our capacity to help some kids in one needy school, and possibly develop some techniques and partnerships that can be scaled up to help others down the road. 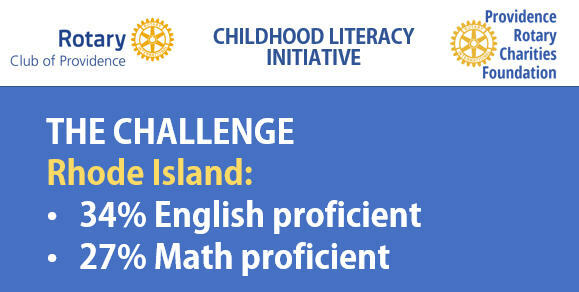 Our Providence Rotary Club and Foundation are structured perfectly to take on this challenge. This effort is an ideal fit with the Rotary motto of Service Above Self and with the stated goals of Rotary worldwide service. We have a club full of people who have come together because they want to give back. Thanks to our club foundation, we have the financial resources to make a difference. We have the expertise of members who have been professional educators. We have an established relationship with a principal and teachers who welcome our help. And we have a head start with a number of literacy support activities we’ve been doing at Kizirian School for several years. In focusing on this initiative, we are NOT talking about the exclusion of all other non-profit programs. 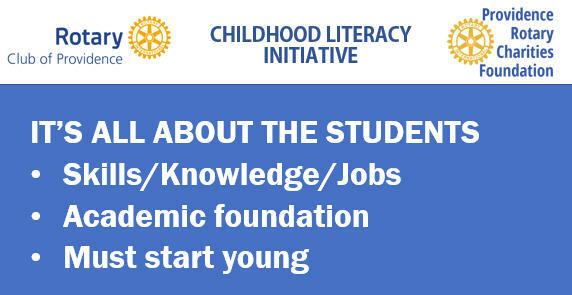 What we are saying is that the Club’s and Foundation’s priorities will focus on student advocacy and literacy promotion. Consequently, the Initiative will receive its budgeted and approved share of the Foundation’s annual allocation, and be the central focus of our club’s volunteer efforts. Our efforts at the Kizirian School are the “starting point” for a more expansive program. The ideas we’re talking about today grew out of an extensive and thoughtful process that started with a small focus group and ultimately involved all the leaders of the club and foundation. Officers of today and tomorrow. The club board and foundation trustees. And finally the council of past presidents. At every step we received positive reinforcement and lots of good ideas to refine the plan. It turned out that at the same time this exploration was happening, the foundation trustees were taking a look at how the club conducts its philanthropy. Foundation chair Paul Segal says that process began with an evaluation of the longstanding giving policy that produced relatively small grants to a wide range of non-profit organizations each year. While these grants were appreciated and effective, the trustees made a strategic choice to adopt a giving philosophy aimed at greater impact. 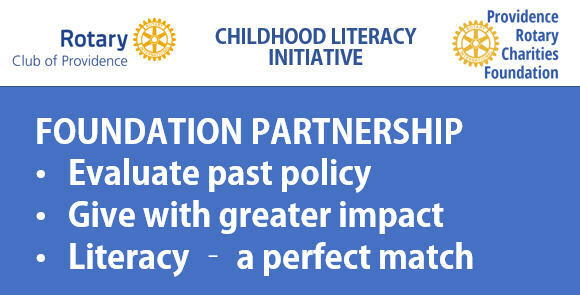 When they learned about the idea of the childhood literacy initiative, both groups felt it was a perfect match. The planning committee can’t do this alone. Every member of the club has something to contribute. 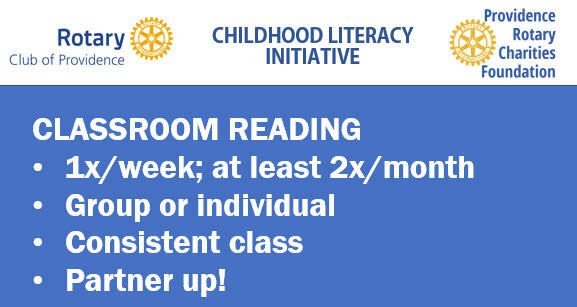 It could be an idea for something new, a commitment to read with kids or volunteer in other ways, or a little extra in your donations to the foundation. In reviewing the background of this effort, Terri Adelman noted that in the past five years Rotarians have been generous with your time, talent and treasure as we brought books and dictionaries to our Providence elementary students. We understood that for our youth to have the knowledge and skills necessary for today’s jobs, a strong academic foundation was critical and the building of that foundation must begin with our young learners being proficient in reading . We know, from helping our own children and grandchildren read, that becoming proficient is much more than just books or even just reading - it is understanding what they are reading. That’s why we made sure they had a variety of books so they would have some that piqued their interest and motivated them to have us read to them or practice reading them on their own. 0ver and over. Our children needed the opportunity of time and attention from an adult. That is why the literacy committee decided two years ago to focus on the students in one school. To provide them with a greater selection of books in the classroom and for members to volunteer in the classroom. Volunteer 1x a week or at least 2x month with a small group or an individual. One hour morning or afternoon. You can sign up with Terri. Everyone who's heard these ambitious ideas has felt that it's a worthwhile effort to align the club, the foundation and hopefully additional partners to make a positive impact on a major community need. 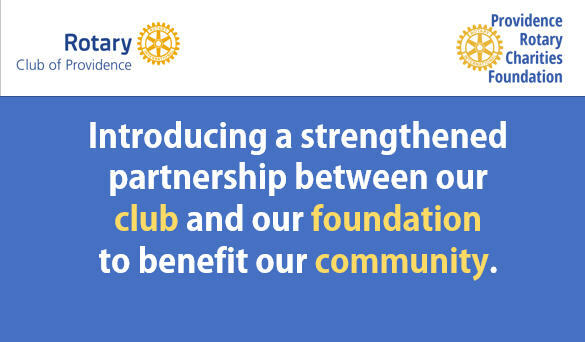 Also to raise the profile of our club, attracting new members and donors to allow us to do more. In a nutshell, we hope to align the club, foundation and new partners to make a positive impact on a major community need.